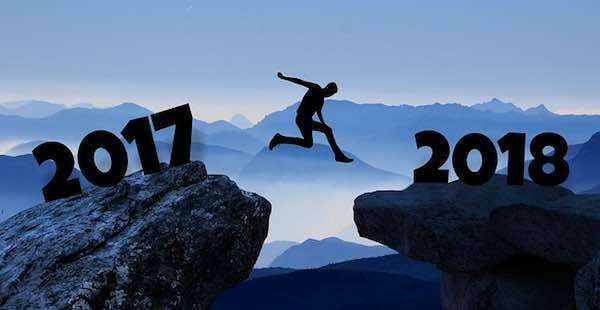 In only a few more days, 2017 will come to a close. It will be a time to think ahead – many will ignite their New Year’s resolutions. While I may not routinely come up with New Year’s resolutions, I do think about and write down my personal desires and goals throughout the year. And, I have decided that I will come up with a New Year’s resolution for 2018. Before I share my resolution, I would like to share part of my roadmap that has led me to this juncture. As I have engaged in reflection, I found myself returning back to a perpetual theme that would emerge and re-emerge over this past year. One particular theme is what I will name as the ‘non-self-disclosing' therapist vs. the 'self-disclosing' therapist wrestling match. I have no idea when the sport of wrestling season begins and ends, but I can tell you this particular wrestling match has persisted season after season. And, my hope for 2018 is the self-disclosing therapist will take the lead and possibly bring the wrestling match to a close someday soon. Let’s start back when these 2 wrestlers first met. Perhaps they were both first introduced way back when, before the days of graduate school as 'non-self-disclosing' me vs. 'self-disclosing' me. In my formative years, I grappled with how much to disclose and how much not to disclose my vulnerabilities. And if I did, I chose wisely with a very select few. Some would say this is normal as we need privacy and boundaries while others may offer a difference of opinion. Now, let’s fast forward to when I enter into graduate school where I am confronted again with choosing and deciding on how much to disclose. This time it is focused more on me as an emerging therapist, not me personally. In the earlier stages of education, students learn about various theoretical orientations and the relevance and implications of non-disclosing and disclosing to one’s clients. Does a therapist merely act as a ‘blank slate’ allowing for one to free associate more easily? Or does a therapist offer some disclosure about their experience and feelings in relation to one’s client (countertransference)? As therapists, do we divulge some our personal, relatable experiences, such as, “I share the same fear of heights as you do – here are tools that have been helpful to me.” To disclose or not became even further embedded post graduate school during professional training courses and consultation. And for good reason, this particular topic warrants so much attention in the world of psychotherapy. I understand the clinical relevance and implications – I get it. Over the past 15 years with greater professional and personal life experiences, I have found myself continuing to think about the inquiry of the self-disclosing therapist. At times, I have put forth a tidbit of self-disclosure when I believed it to be ‘clinically appropriate’ or when it simply felt right. The self-disclosing therapist is not uncommon for some psychotherapists, and it's probably still one of the more debated issues in the field. Over the past year or so, the inquiry in my mind has expanded beyond the closed doors where therapist-client, supervisor-supervisee, and consultant-consultee relationships are formed, maintained and evolve. Questions continue to knock on my door, such as, do I as a therapist share my story (or stories) with others publicly? Is there value in therapists who choose to open up in a more public forum? How about us therapists taking our practice even further by exercising vulnerability and using our voice through other outlets? Are age and credibility in the field some of the salient determinants when choosing to publicly divulge as a professional? What is too much to self-disclose in written form? Could casting a wider net be detrimental to a therapist’s profession? While these particular questions have lobbed around in my head for just over a year now; admittedly, they have not been all ‘heady’ taking up rent in my mind. Sometimes (and many times), I would simply experience this feeling inside of me – near my heart or gut – nudging me to share more and to share with more people. Stop thinking so much and just take action. Take the leap and have faith. Even a call to duty would emerge from within as well. But why and for what purpose? The answers didn’t seem readily available to me. And then over the past few months, it all became clearer. Earlier in 2017, I learned about On The Table and the #BreakTheSilence initiative by The Kennedy Forum. I was immediately pulled in as I loved the mission and purpose of this initiative. Bring people together to give people an opportunity and space to talk about mental health in effort to reduce the stigma that still hovers around and shrouds the already cocoon existence of mental health. The idea is that when more people talk about a topic – in this case mental health and addiction – a positive rippling effect can ensue. The easier it will be for all of us to talk about it. Better yet, the easier it will be for all of us to talk about it without feeling shame, crazy, or embarrassment. The more we will feel safe and free of judgment. People will seek out help. We will honor and view mental health as another facet of humanity and life, just as we do with other areas, such as our physical health. We will advocate for change across cultures, families, and even within the helping professional field. Opportunity for positive changes within the health care insurance industry. The more we will become intimate and experience love. The more we will be empathic and compassionate. The more we will be more understood and connected. The healthier we will all become and the more lives will be saved. Who doesn’t want to experience these things for themselves and others? Concentric Counseling & Consulting hosted its first On The Table Discussion on May 16, 2017. The turn out and experience was inspiring and moving. We even shared people’s stories, experiences and solutions for people to read in our blog. However, the Concentric’s therapists served as hosts and guides – we were not active participants in this discussion. No self-disclosing. This is not a terrible thing, but the knocking on my door didn’t go away. Should we have re-considered actively participating in this dialogue? Sharing would mean ‘more people’ talked about mental health and addiction, right? There have been other initiatives and movements this year, including one of the more recent ones that started in October 2017. The #MeToo movement gained momentum and traction which has given people collective permission to break free of the shackles that have promoted and reinforced silence, inequality, sexual harassment, discrimination, and assault, shame, and for some, the cocoon existence of mental health. The #MeToo movement encouraged women to share their stories in effort to give people permission to break their silence to unite and to bring greater awareness about the prevalence of sexual misconduct. The more people talk about their experiences and hardships, the same effects will occur as with the more people talk about mental health and addiction. Movements like these promote the cascade effect which in turn promote movements – a positive feedback loop. All of these experiences along my personal roadtrip have touched and impacted me. And, while I recognize that I am helping people, I have also recognized that choosing (more times than not) the non-self-disclosing therapist may just not be as helpful. I believe in the importance of using one’s voice, honoring one’s experiences with integrity and respect, and I want to help become a part of the bigger picture. I want to talk more about mental health and addiction publicly in effort to help achieve with many others a positive cascade effect. It won’t be easy for me, that I know. Truthfully, I am not quite sure where to start, what I will disclose about and which platforms to traverse. What I do know is I now have a clearer understanding of the persistent themes that knocked on my door. My deeper desires and hopes for all by talking about mental health. So, my New Year’s resolution for 2018 is for me as a therapist is to start leaning in, to become more of a self-disclosing therapist by sharing more publicly some of my own mental health challenges and triumphs. Happy New Year Everyone! It’s been about 3 months since Concentric Counseling & Consulting hosted its first On The Table 2017 conversation, and I am still impacted by the experience. First let me backpedal to how I first learned about The Kennedy Forum, one of the co-sponsors of On The Table. It was the Fall of 2015 and I was having a conversation with my friend Caroline McAteer about various social issues and she had asked me if I heard of The Kennedy Forum. Much to my chagrin, I had sheepishly told her that I hadn’t. She told me about The Kennedy Forum’s mission and details of their annual meeting. I was instantly intrigued and had to dig in. Of the many things learned, one of them was Patrick Kennedy of The Kennedy Forum and his involvement with The Mental Health and Addiction Parity Act of 2008; he is still putting forth advocacy efforts to have The Act enforced on a national level. I remember the buzz just before The Act went into federal law as I knew all too well the red tape and consequences people, including my own therapy clients, faced with limited mental health sessions imposed by insurance companies. Fast forward to Spring 2017, and I learned about On The Table initiatives (co-sponsored by The Kennedy Forum and The Chicago Community Trust). Once again, I was intrigued. On The Table initiative is about having people host open and honest conversations about mental health and addiction in effort to #BreakTheSilence and eliminate the stigma around mental illness and addiction that still greatly exists. As a counselor, I regularly encourage my clients to use their voice whether it is to share, increase vulnerability or intimacy, honor or advocate for oneself, and to work through the shame that often plagues people with mental illness and addiction. The focus of psychotherapy with my clients typically entails understanding and resolving challenges with one’s intrapsychic and interpersonal relationships (represented by inner concentric circles, hence the name Concentric) versus the larger, social systems (outer concentric circles). Participating and joining forces with other hosts to help end the stigma associated with mental health and addiction while giving people an opportunity to use their voice fit Concentric’s mission with helping others to your their voice – but this time on a macro level. On May 16, 2017, the therapists at Concentric Counseling & Consulting hosted its first On The Table 2017 conversation in Millennium Park, across the street from our office. It was an unseasonably warm and windy day, and our topic was "Your Voice Matters: Mental Health and Addiction. Honest Discussion About Why More People Don't Seek Out Help." Stigma, embarrassment, and shame. Seeking help is seen as a weakness. What will my family and friends really think about me? Will I be seen as a ‘nutcase?’ Denial about having a problem or my ego getting in the way. Financial burden and obligations. Lacking financial resources all together. Treatment is a privilege for only those who can afford it. Lack or poor insurance coverage. All of the convoluted layers to insurance coverage. Lack of information and available resources on how and where to find mental health and addiction services. Example given was local university offered free counseling services to its students but was not aware of services until his senior year of college. Not knowing how to access services or where to start. Location and other barriers to gaining access to solid services. Cultural barriers and roadblocks, including families of certain cultures not supportive of mental health services. Experience with providers who lack cultural, gender identity, and sexual orientation competence. Religious barriers and lack of supports within religious communities. It is a reminder to all of that us that suffering from mental illness and/or addition is hard in of itself, not to mention having to endure additional barriers that get in the way of seeking and accessing help. Some of the solutions shared were not only to address or remove the aforementioned barriers and roadblocks, but to focus on the equity of mental and physical health. People remarked how it is much easier and more acceptable to talk about their physical ailments, but not their mental health. Let’s look at people wholistically and give the mental health side the same due attention and respect. Another solution shared was to target childhood prevention. One of the guests remarked in early childhood, we learn the importance of daily hygiene, such as brushing our teeth daily. Why not introduce conversation around mental health care at an early age or make mental health education mandatory in schools. Also, when providing education on mental illness and addiction, don’t use extreme or scare tactics, such as the “This is Your Brain” drug campaign did in the 1980s. Guests remarked it only silences people more. Instead, provide a spectrum of information that can resonate with or speak to a variety of people across all ages and cultures. My hope is that the information shared from our diverse group in Chicago can continue to be shared with others. And importantly, inspire all of us to participate in more active conversations about mental health and addiction whether it’s in your home, at work, in your community or as an On The Table host. 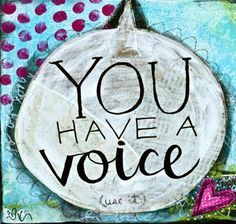 Because Your Voice Does Matter!